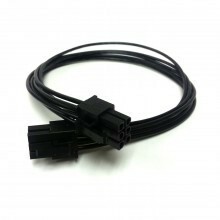 do atx psus with modular cables use the sam pinouts? what type of pcie cable work on ocz power supply? Click the button below to add the 6-Pin to 6-Pin PSU Modular Power Cable to PCI-E (60cm) to your wish list.